This year I got an opportunity to facilitate a two-day workshop on “Mindfulness on the go” in three different places – Kuppam (Andhra), Bangalore and Mumbai. The workshop follows an approach which is broadly called “learning from the book of life”. This means learning from one’s own life rather than according to a scripture or textbook. Many of the participants are open to this approach or at least curious to know more about it. However, some are not able to digest it easily. Here are three responses I have received from those who find this approach not so palatable. 1. What about my favourite book of wisdom? Some people believe that the most profound wisdom is captured in some book such as Bhagavad Gita or Upanishads or some such scripture. In fact, some of them know such books by heart and they are able to recite several stanzas. However, when it comes to integrating any of the wisdom in their daily life, not much would have happened. Some have it in their to-do list to study their favourite book of wisdom, but haven’t got around to doing it yet. In any case, since they carry such a strong belief that real wisdom can only come from their favourite book of wisdom, they are not so open to learn from the book of life. There is nothing wrong with learning from a religious scripture. However, that’s different from learning from the book of life. And because of their fixedness on one particular book and its content, they are unable to appreciate learning from the book of life. 2. Lost in the story in the book: Some people are interested in learning from the book of life. In fact, they are eager to narrate a story from the book e.g. how a close friend or spouse lied to him consistently and how it is his right to be upset about it etc. Now, when you are learning from a book, before you get into the story, it is important to pay attention to the structure of the book. E.g. the book may be torn and may have lost a few pages, or the book may have loose pages which are jumbled up or the book may be translated and the translation may have errors etc. 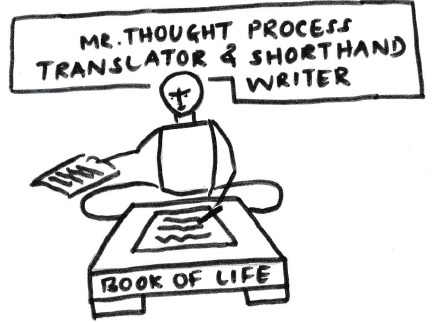 In fact, in case of book of life, thought process may be playing the role of a translator and a shorthand writer combined into one. And the story about which you are getting upset may be a result of some error in translation. Hence, it is important to pay attention to the process of how the book is being put together and presented to you. Getting upset about a jumbled up story has no meaning. 3. 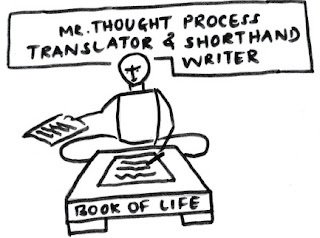 “Touch me not” pages: Some people are interested in learning from the book of life. And they make a beginning in paying attention to the process and structure of the book. Until, the subject matter turns to something they are very protective about e.g. religious beliefs or political ideology or a relationship that has gone sour or some idea close to their heart. These pages become “touch me not” pages. There is no room for investigation because the story is frozen and the book is believed to be in perfect order in those pages. This limits the learning because perhaps some of the greatest nuggets of wisdom may be hidden in that area of the book. In short, there are three responses which hinder learning from the book of life: One, a belief that real wisdom lies only in certain scriptures and nowhere else. Two, getting lost in the story (content) of the book and as a result losing track of the errors in the process and structure of the book and three, treating some of the pages as “touch me not” and refusing to investigate that area of the book. Very true... and actually more...conscious mind can come and comes in the way of learning many a times; I know it all; I am happy the way I am and so on...but can anyone really stop learning subconsciously ? Agreed. Learning can happen subconsciously in spite of all the hindrances.